Stained Glass - Never attribute to malice that which can be adequately explained by stupidity. 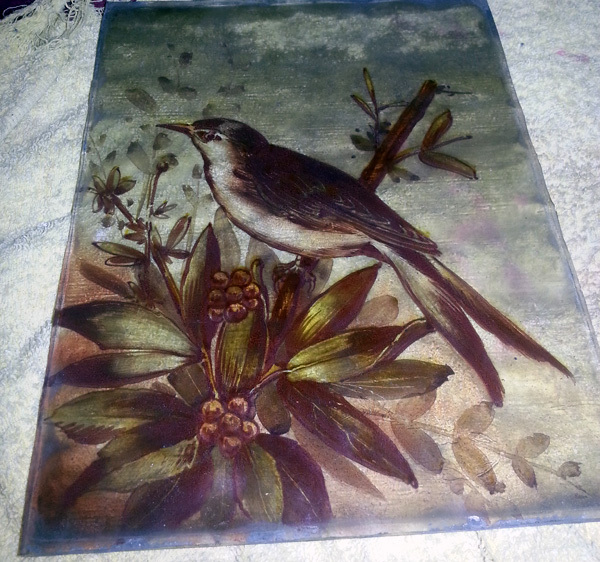 Here are the two bird panels from the leaded windows I got last week. They are in need of cleaning, but the flash on the camera seems to "burn" through the 112 years of grim so the photos make the colours look a lot brighter than they seem without bright light. At the moment they look like they are painted with various shades from the grubby brown pallet. 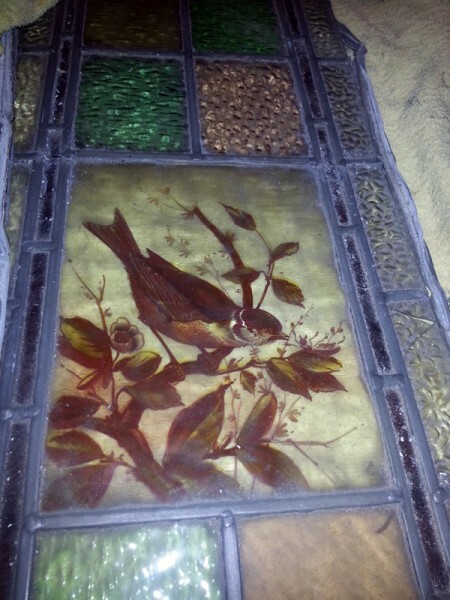 Over the last two days I've found more leaded glass panels and they should be delivered after Christmas. Then all I have to do is dismantle them all, clean them, demolish the old (probably 1970s) inner front door and wall, build the new inner front door (to 1890s design), brush-up on my stained glass window soldering skills, put all the bits of glass into 7 pleasing designs, and hey-presto job done. There's the little matter of the ceilings in the hall and lobby needing to either come down and be redone or skimmed over first, and the floor boards need to come up and be replaced, but I'm rather chuffed with all the glass I've managed to find over the last couple of weeks.